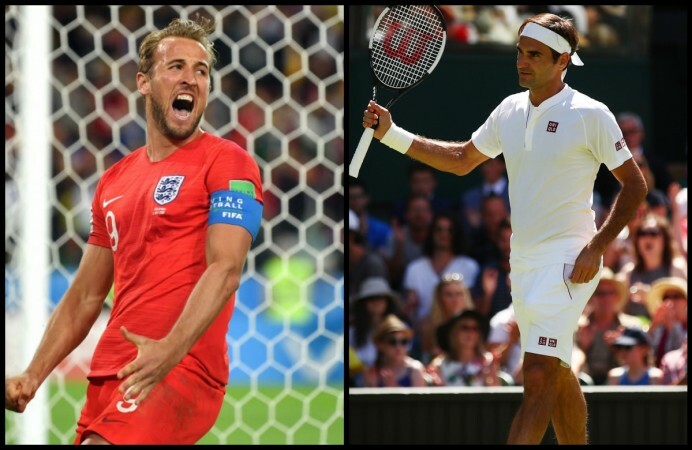 Will Wimbledon men's singles final be rescheduled if England reach Fifa World Cup final? The Wimbledon men's singles title match and Fifa World Cup 2018 final will be held on the same day — June 15. Sports fans will find it difficult as the scheduling of the two events may lead to a clash of viewing. Wimbledon bosses have made it clear they will not be rescheduling the men's final that is likely to clash with the much-anticipated final match of Fifa World Cup 2018, scheduled for Sunday, June 15. The men's finalists of the tour's only grass-court Grand Slam are due to SW19 at 2 pm local time (6:30 pm IST) while the World Cup final in Moscow is scheduled for a 4 pm local time (8:30 pm IST). It is safe to say the scheduling will lead to a clash of viewing for sports fans, who are set for an action-packed day. While tennis has its own fan base across the globe, it's safe to say that a Wimbledon final will be unable to match the buzz around the title match of the sport's biggest quadrennial event. A possible shift in timing of the men's tennis final was discussed in the lead up the tournament but the bosses at All England Tennis Club have decided against it, according to Evening Standard. Even if England reach the final in Russia, the Wimbledon men's singles final will be left untouched, Wimbledon chief executive Richard Lewis has said. "It has not been a discussion other than, 'we are two o'clock and that's it'. We love seeing England do well and would love Gareth Southgate and his side to do well at this World Cup," Lewis was quoted as saying by the report. Fans inside the All England Tennis Club were unable to watch England's win over Colombia yesterday as Wimbledon organisers decided against screening World Cup matches within its grounds. In fact, no knockout matches will be shown at big screens of SW19 or any other courts at Wimbledon. Notably, The Three Lions reached the quarter-final of the Russia World Cup after ending their penalty shootout jinx in a Round of 16 tie against Colombia on Tuesday, July 4. Gareth Southgate's men will meet Sweden in Samara in Saturday's quarter-final are two wins away from reaching the last Sunday of the World Cup. Notably, they find themselves in a relatively easier bracket, given they will not meet the likes of France, Brazil, and Belgium until the final.